Shraddha Somanath, a UKG student of Greenwood High International School, has made history of sorts. At the age of five, when most children totter, she has bagged two silver medals at an Asian schools chess meet. 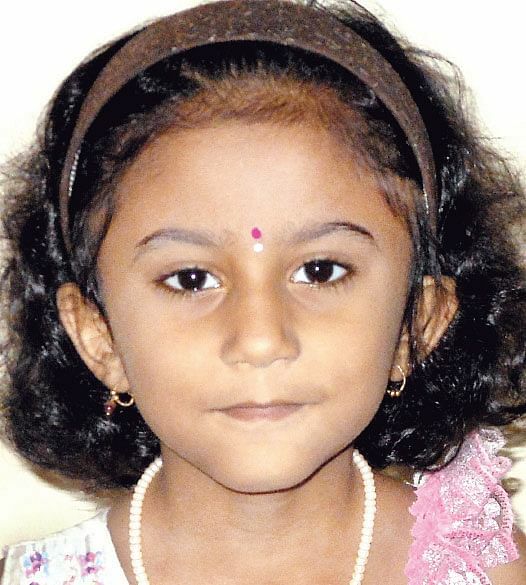 Shraddha bagged a silver in the Under-5 girls category of the championship at Hikkaduwa in Sri Lanka. Shraddha won the silver medal in both, classical chess and the blitz, category of the championship. The mega event saw participation of more than 385 children in different age categories from 15 countries including Australia, Maldives, United Arab Emirates, South Korea, Kyrgyzstan, Iran, Malaysia, Uzbekistan, Chinese Taipei, Kazakhstan, Mongolia and Yemen. As such it was a creditable show by the city child. Her father K Somnath, who is himself a chess player and also teaches chess at Greenwood High, was a natural coach for his daughter. With Dad always around, Shraddha perhaps did not find it difficult to do well. But then, competing against foreign participants at her age is indeed incredible. “She always accompanied me and watched me play and teach chess. She developed interest in the game and I encouraged her too. She has won some events at school and the local level. She was in the team for the Lankan event and did very well. With a little patience she might have won the gold but then for a child of her age, you cannot complain. I am delighted with her silver medals and I hope she improves and does better,” said Somnath. “She has made our school and country proud and I wish her all the success in her journey which has just begun,” said Niru Agarwal, director and trustee, Greenwood High International School. “Giving importance to sports and extracurricular activities in school, along with academics, is very necessary and I hope other children emulate Shraddha,” she said. Shraddha has more than lived up to her name and if she continues to do so, the country will soon have the youngest international master and later the grand master as well.